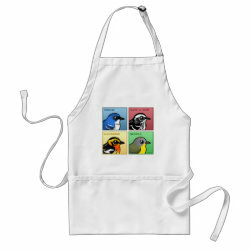 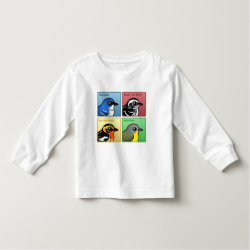 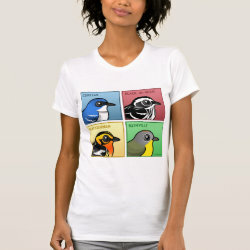 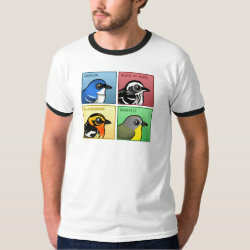 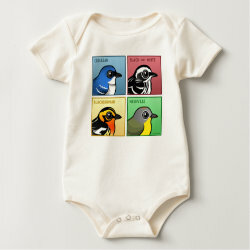 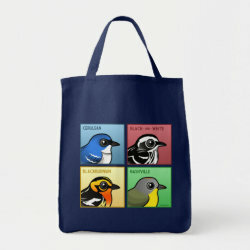 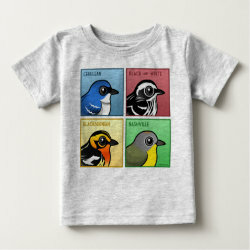 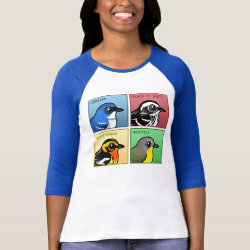 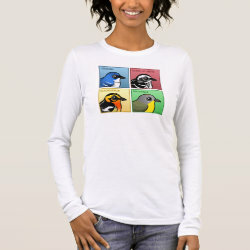 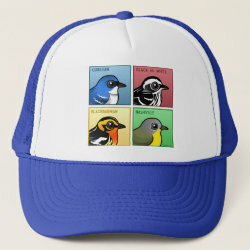 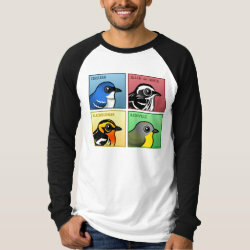 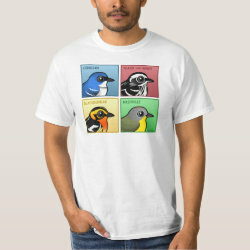 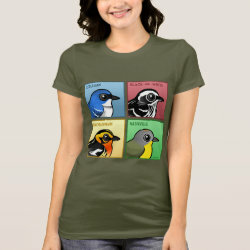 Four cute Birdorable wood-warblers pose portrait-style in this original pop-art inspired design. 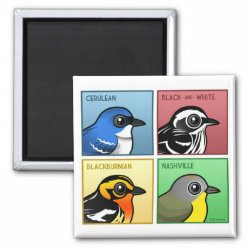 Each warbler face is framed in a boldly colored square. 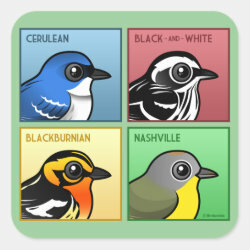 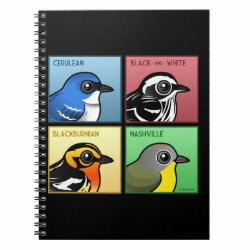 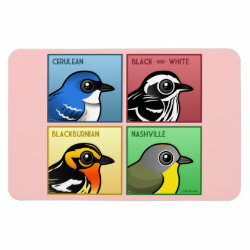 The four warblers are Cerulean, Black-and-white, Blackburnian, and Nashville.